The Stradbally by Dubarry is a long sleeve V-neck modal top with a stripe pattern. 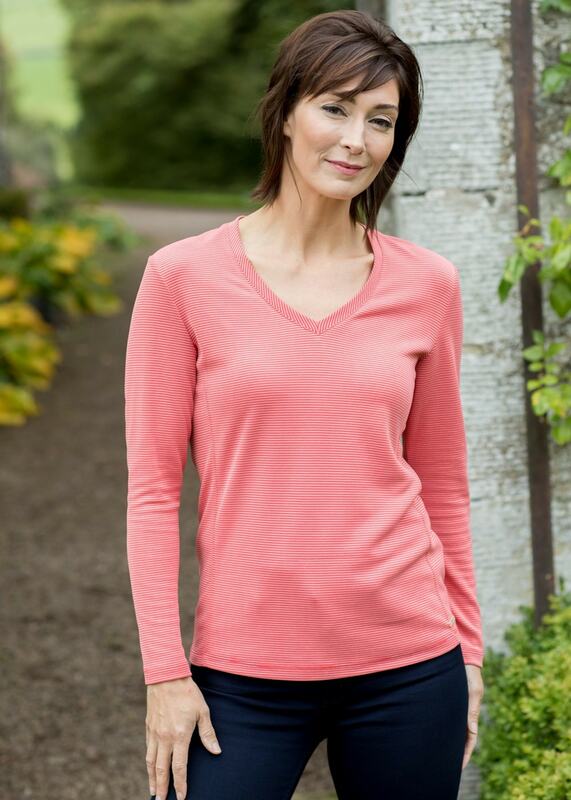 The Stradbally by Dubarry is a long sleeve V-neck modal top with a stripe pattern. Available in a range of colours and with a crease resisting finish, this top is perfect for your summer travels.